PolicyX.com is the fastest growing insurance web aggregator. Our team is a mix of dynamic individuals from varied backgrounds like finance, marketing, operations, etc. We value discipline, hardwork and honesty. We have high regards for individual freedom and encourage free culture with a flat hierarchy. When did you take the product? 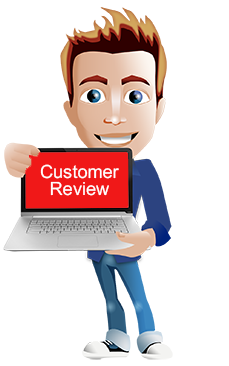 I certify that this review is based on my own experience and is my genuine opinion of this service provider, and that I have not been incentivised to write this review. You can write a review about any Insurance products like Term Life Insurance, Health Insurance and Car Insurance etc. I have paid insurance fee by net banking. \nBut not recieved any msg or mail after that. \nWhat should i do? LIC Jeevan saral policy is most looser policy. Because I invest 61450 rupees.. but I return sum assured 32540 rupees after 10 years. Why I invested this policy? I am looser person because I invested already. The sales agent others were knowledable enough to convince me to buy a policy and help me understand how to get health insurance claims and various formalities . 2825100421061000002 policy has been purchased from you but the card is not received.\ni am fully satisfied with your service. till this time i am in dubious mind, god knows whether they will send the card \nwithin a month as said by them. other reviews are very alarming. people are crying for last 4 months, they have not received the card\n. if they are sending the card in time it is ok ,one has to rely on others so iam waiting for card now. if it remains ok we will purchase other insurance like car and bike. I buy a health insurance but the guy who assist me it was good but till now from last 4-months waiting for my insurance-card trying to call but no response from your guest attendant only taking time. Worst just they sale and forget the guest bad company never buy from them. The best quote i ever got for my bike. Good work National Two Wheeler Insurance team. I am hoping to get good service. Incase of a claim the process is as smooth as policy buying experience. Wonderful service. I am very happy with National Two Wheeler Insurance.